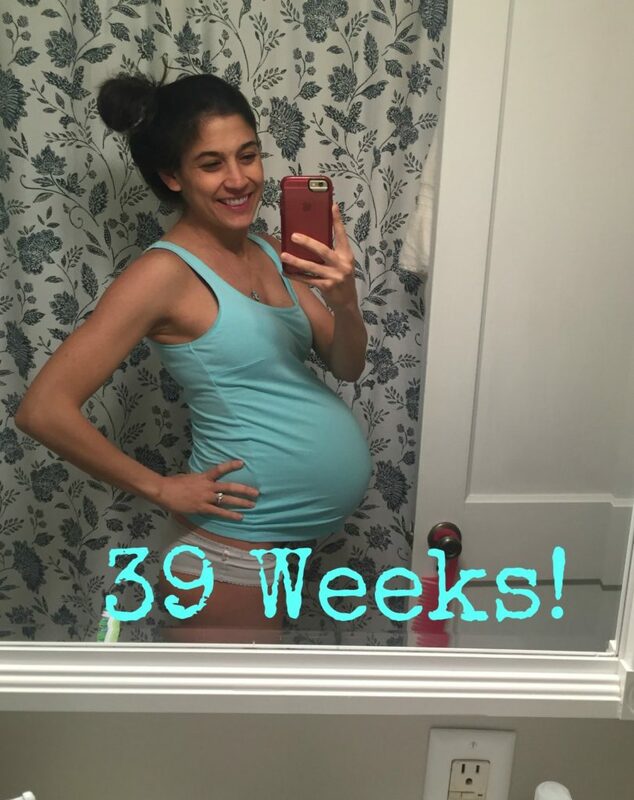 Preggo Update: Week 39 – the end! 29 Mar Preggo Update: Week 39 – the end! I am so excited to say that as I write this post, I am doing it with a sweet new little baby by my side and a full full (did I mention FULL?) heart! Before I get my birth story up, I figured I’d better finish up the last of my preggo updates and then share the story about when all the action started! So lets back track a little! -Honestly, I felt great most of the week! Didn’t feel like I was 39 weeks pregnant and had more energy/was more comfortable than I had been in the few weeks prior! Towards the end of the week things started to feel different, but I will share more about that when I post about our birth story. -Obviously more than excited and anxious at this point, but the reality is setting in that this is it! She is coming..very soon and there’s only one way out. Well two, but I’m planning for just the one! Trying to stay very positive. Reading lots of good (read: positive) birth stories! -I can’t say I was ever totally nesting until the point that I was pretty positive I was in labor. 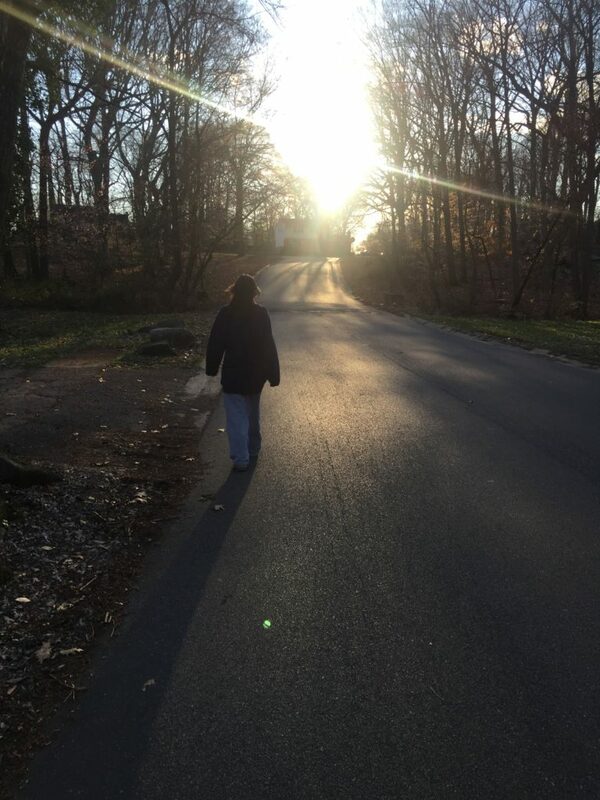 For the past few weeks I definitely wanted to get things done – like the taxes and returns, but I can’t say I was full of energy and motivation to get it done. I also had this obsession (more than usual) with grocery shopping and making sure we had food for when she arrived. I felt like a hoarder! – I met with my midwife on Thursday and the appointment was actually very encouraging. At that point I was about 80% effaced and 1cm dilated. I took this with a grain of salt, knowing I could walk around like this for another two weeks, but she did say my cervix was very soft (all those DATES) and she didn’t see me making it too far into next week. Of course she said this with caution and also mentioned she didn’t think I’d have a very long active phase of labor. All things every pregnant girl wants to hear, but again…who really knows. Towards the end of the week I just started to lose my appetite for anything really. Come to find out, labor was probably the reason for this! Really, I can’t say I had much aversion to anything during my pregnancy. I feel very lucky to have not felt sick at all and I attribute that to all to good whole foods I was eating! Long walks. We did this hill a good number of times leading up to labor! Yep, huge sweatpants and sweatshirts. That’s all I could handle at this point. I did my last Balanced Athlete class on Wednesday morning. It felt really good to move, but it’s like my body knew I needed to conserve energy for what was going to happen in the next few days. Our bodies are so cool and so smart. I’ve said it before and I’ll say it again…if you take the time to listen to your body…you already have all the answers! I have to say this pregnancy journey has been the most amazing thing I’ve ever done. I’ve learned so much about myself and about my body. I have a feeling this next year (and for the rest of my life) is going to be just as insightful. I am trying hard not to wish away this time, because I know each moment is so special and so important!